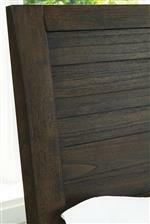 Raised molding adds visual interest to the six drawers of this casual contemporary dresser. 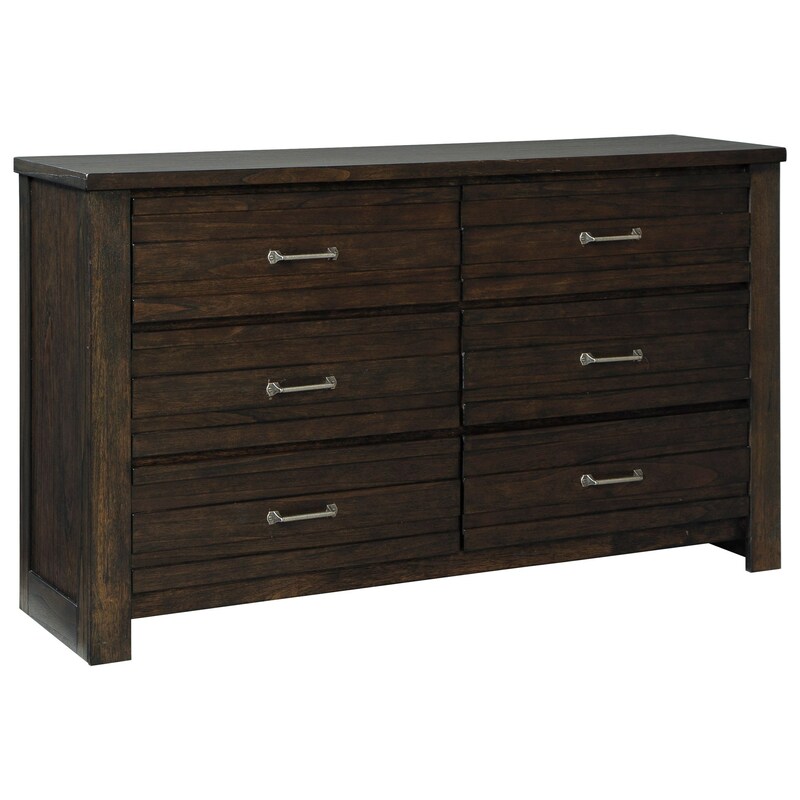 Featuring a burnished brown finish over mindi veneer and antique pewter finish drawer handles, this dresser has a versatile appeal. The Darbry Contemporary Dresser with Raised Molding by Signature Design by Ashley at Miskelly Furniture in the Jackson, Pearl, Madison, Ridgeland, Flowood Mississippi area. Product availability may vary. Contact us for the most current availability on this product. The Darbry collection is a great option if you are looking for Contemporary furniture in the Jackson, Pearl, Madison, Ridgeland, Flowood Mississippi area.